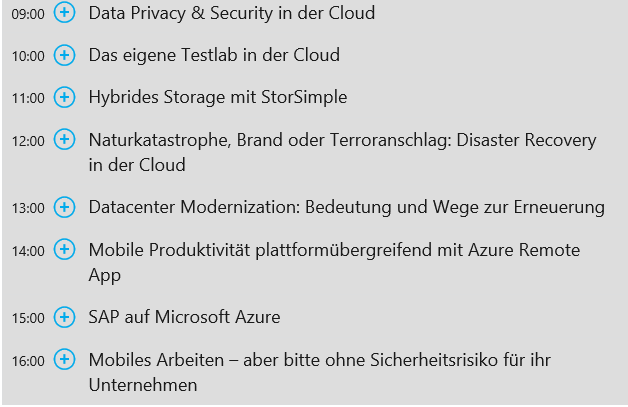 Im ersten Quartal 2015 gibt es von Microsoft eine interessante Webcast Serie zu Enterprise Mobility. A mobility strategy is no longer a stand-alone part of a business – it has to be an integrated part of an organization’s entire data management and productivity strategy. This discussion will examine best practices for implementing the solutions that enable your users to be productive on the devices they love. Attend this webcast to learn how to effectively integrate your existing SCCM expertise with Intune and more efficiently manage the devices accessing your corporate network. Identity management is a foundational component of any Enterprise Mobility strategy. This discussion will focus on the integration we have done across identity, productivity, and management that helps you identify and protect against persistent threats to mobile devices – and the company data accessed by those devices. We’ll also examine why this protection is best provided from the cloud. Attend this webcast to see what cloud-based resources are available for protecting your infrastructure from threats introduced by devices – and what to do about these attacks. Building upon the discussion from February, this webcast examines the “Layered Security” approach of protecting corporate resources at four distinct levels: Device, App, File, and Identity. With an enterprise grade cloud-based data protection solution available, what happens to the corporate data in the cloud and why not just stay on-prem? Attend this webcast to learn about how to add to your existing security resources by using file-based and identity-based security features. Vom 1. bis 4. 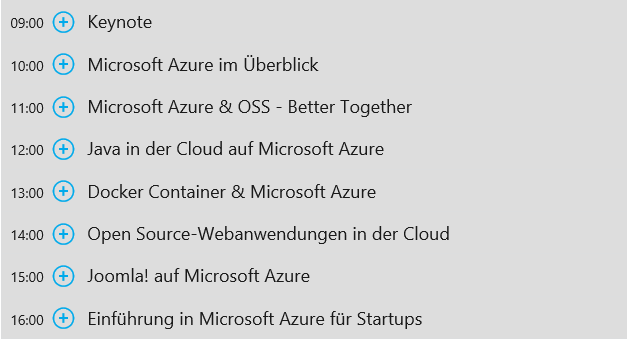 Dezember gibt es jeden Abend (deutscher Zeit) ein kostenfreies Online Event von Microsoft zu Azure IaaS. Das Training ist auch ideal zur Vorbereitung auf die Microsoft Prüfung 70-533 “Implementing Microsoft Azure Infrastructure Solutions”. Als Belohnung für die regelmäßige Teilnahme gibt es einen 50% Voucher für die Prüfungsgebühr. Die “Keynote” hält Mark Russinovich (Microsoft Chief Technology Officer Azure), durch das Programm führen Rick Claus (Senior Technical Evangelist) und Mitglieder aus dem Azure Team. Seit Anfang April ist Azure Active Directory Premium verfügbar. Azure Active Directory Premium is a service targeted at large enterprises and is available through volume licensing and/or an enterprise agreement. It is also available as part of our new Enterprise Mobility Suite (EMS) which includes Intune and Azure RMS as well. Bislang war es allerdings für normale Kunden und Partner nicht möglich, sich das genauer in einer Testumgebung/-version anzuschauen. Das machte es natürlich schwierig, sich damit zu beschäftigen und vertraut zu machen, um damit beispielsweise Kunden optimal beraten zu können. Erfreulicherweise gibt es heute gute Nachrichten: Ab sofort ist AADP testbar! Auch wenn ich als Microsoft Partner bei Microsoft Mitarbeitern oft auf Unverständnis stoße, wenn ich einen Cloud-Dienst testen möchte _ohne_ dafür zu bezahlen – bevor ich etwas meinen Kunden anbieten und verkaufen kann, möchte ich mich damit beschäftigen und/oder es in einem Proof of Concept einsetzen. Wird mir das nicht ermöglicht, kann ich es den Kunden auch nicht anbieten und muss gegebenenfalls auf Lösungen anderer Anbieter zurückgreifen. Active Directory Team Blog: Azure Active Directory Premium has reached GA!